The heart of The Wave Op Shop is to be a place where everyone in our community is valued, whether it be though access to second hand goods, a place to serve and belong or just a place to sit in our Community Hub space. Mphatso Children's Foundation is located in Kande Beach, Malawi. The ministry was founded in 2004 by Robyn Casey who, with her team and supporters, is committed to sharing the love of Jesus Christ with the Malawian people. From this small start in 2004, Mphatso has grown and now feeds and educates over 1000 children a day through 12 nursery schools and is now spead along a 40km stretch of Lake Malawi. Mphatso is a registered NGO in Malawi and a registered charity in Australia. Mphatso now employs over 60 local staff in Malawi and runs numerous programs alongside the nursery schools to help Feed the Children, Grow the Community and Impact the Future. ​Sight Magazine is a voice. 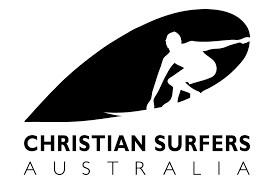 It is the mission of Christian Surfers that every surfer in every surfing community has the opportunity to know and follow Jesus. ​Surfers are adventurous by nature, willing to explore, take on the extreme and be real and authentic in doing so. We aim to focus this strong and very intentional people group in following Jesus. The Wave supports Dave and Lil Barnett through The Bible Society as they translate the Old Testament into the Pitjantjatjara language. The Pitjantjatjara language is one of the few original 250 Australian languages that are still used daily. It is spoken by several thousand people who live in their traditional homelands in the North-West of South Australia. This translation and the Pitjantjatjara Audio Bible App will allow the Pitjantjatjara speakers to come face to face with God's living Word. Shed Happens is a safe place where men can go to hear real stories form real blokes about real battles they’ve had and how they have overcome them so that other blokes can learn to become better blokes. It’s on the second Monday each month from 6.30pm for dinner, ($10 to cover costs), to whenever. It’s at Queenscliff Community Hall, Symonds St. Hear a bloke’s story, and then have a cuppa, a Tim Tam and a Chat. The vision of BSM is to provide support to young people in high schools by coming alongside of them and loving them in practical mentor relationships that show them their intrinsic value. Mentoring can be everything from carpentry to fitness training, from walkings to tutoring. The BSM workers help co-ordinate accredited volunteers in these various projects.